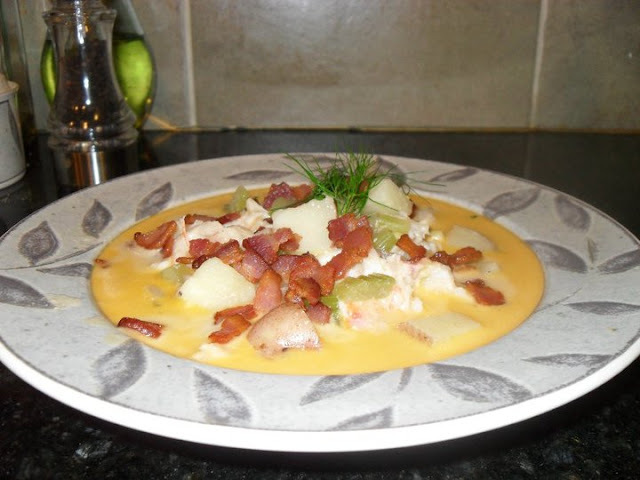 So, I want to share one of my favorite Ina recipes of all time.....(drum roll, please).....Lobster Corn Chowder!! Quick disclaimer....I know I just said follow the recipe to a T, and I'm about to completely break my own Ina-commandment when I tell you that I sometimes make this recipe with king crab instead of lobster (don't hurt me!). 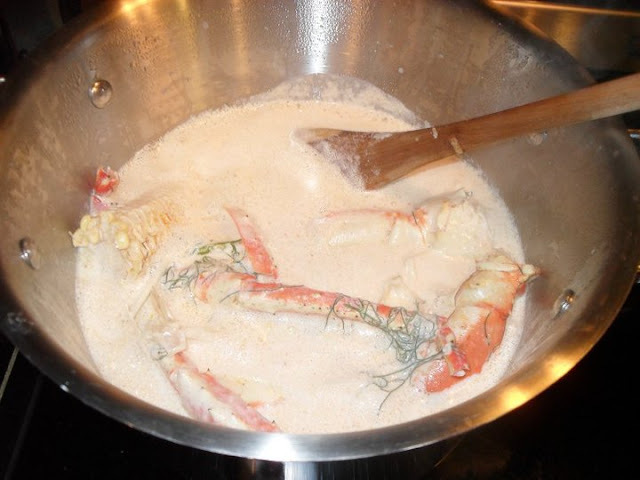 Lobster can get pricey depending on who's having a sale (or rather, who's NOT having a sale), so if the king crab legs look good and are priced attractively, I buy crab instead. Eliesa, it's amazing!! One of my favorite dishes and so easy to make!